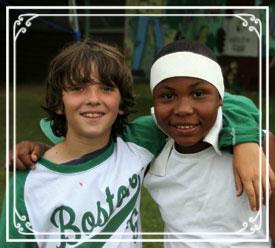 Nate Wasserman Camp Fund | Providing camp experiences for kids with financial need. The Nate Wasserman Camp Fund fund makes it possible for deserving kids from hard-working families to attend Summer Camp. Send a child to beautiful Camp Menominee or one of a dozen other special camps around the country. Nathan Wasserman was a school teacher and coach at Parker and South Shore High Schools on the South Side. 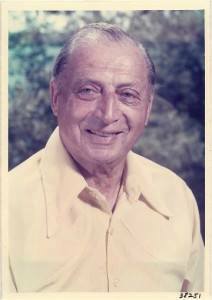 Nate and his wife, Edna, established Camp Menominee in 1928 with 25 boys primarily from the Chicago area. The Nate Wasserman Camp Fun was established to ensure that any boy, no matter his parents’ financial situation, would have an opportunity to experience the joy and memories of spending a summer at Camp Menominee. Camp is one of the best gifts you can give a kid. It’s the chance of a lifetime to make new friends, learn new skills, and become better, more confident versions of themselves. If you went to Camp, you know it’s true. The Nate Wasserman Camp Fund is the perfect way to pay your camp experience forward. Please Give the gift of camp. You went to camp. You know what it meant to you then. You now more fully realize the impact it had on your life. Let’s make camp happen for more kids. Last year the Nate Fund sent over twenty kids to Camp Menominee and special camps around the country for kids with physical, emotional and developmental disabilities. To donate online, ​click here​, or use the attached donation form. Either way we’ll send you a receipt for your taxes. Give $100 or more and you’ll also receive a special Nate Fund long sleeve T-shirt. 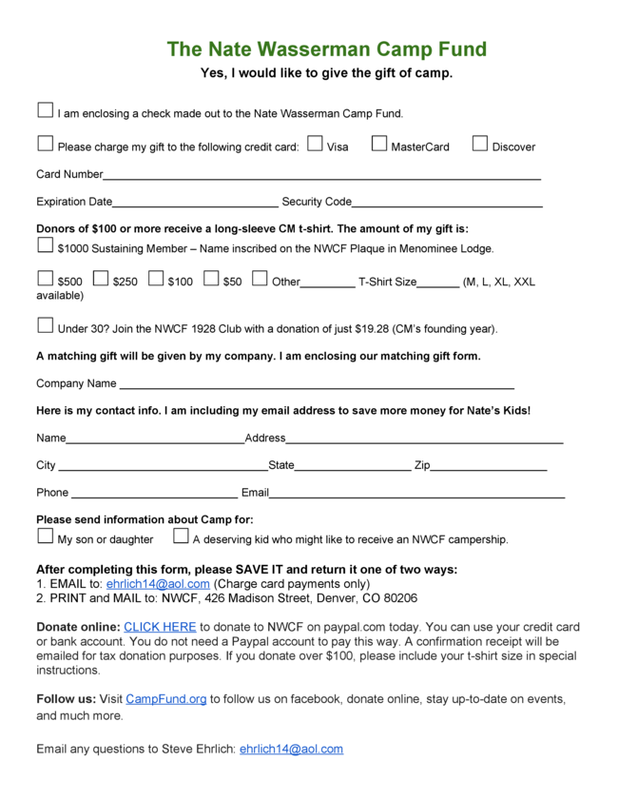 If you know a family or camp that might welcome NWCF support, please email Ehrlich14@aol.com​ or check the box on the donation form. Maybe this is the first time you’ve given to the Nate Fund. Or maybe you’re a longtime supporter. But thanks to the generosity of all of you, we’re sending more and more kids to camp every year. Now, while you’re thinking about it, please join the 2019 Nate Fund family and give the gift of camp. 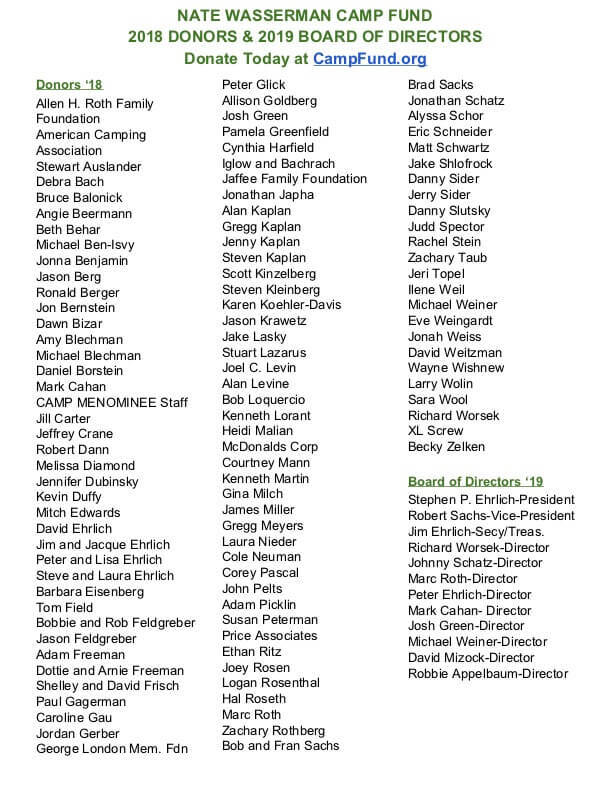 For over 25 years and for nearly 300 kids the Nate Wasserman Camp Fund has been making a difference. Please add your name to the list of donors in 2019. 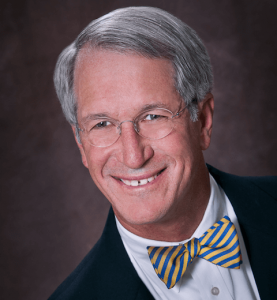 WHAT CAMPS DOES THE FUND SUPPORT? Any donation is greatly appreciated! You can see what others have donated by referring to our Donation Roster below. CAN I RECOMMEND A FAMILY THAT DESERVES A SCHOLARSHIP? Click Here to donate or use the donation form. Either way, we’ll send you a receipt for your taxes. Give $100 or more and you’ll also receive a cool Nate Fund long sleeve T-shirt. If you know a family or camp that might welcome NWCF support, check the box on the donation form and we’ll contact you.